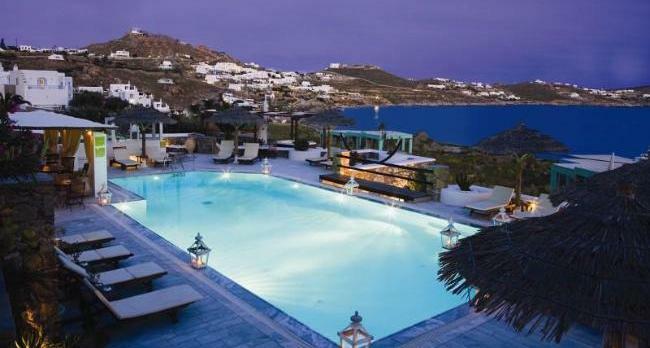 Apollonia Beach Resort & Spa deluxe Hotel Bay Mykonos ! Apollonia Resort Hotel is a small seaside 4-star hotel and resort featuring 36 guestrooms and suites on a private peninsula in Mykonos. Built in an amphitheatric style allowing breath taking views to the sea, the summer resort offers exceptional facilities, personalized services and quality vacation experience to all of its guests.